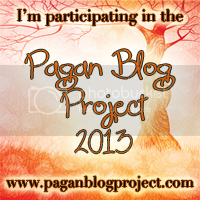 This post is part of the 30 Days of Otherkin challenge. As I mentioned briefly in my previous post for this meme, my identity is not solely as Britomartis. Going back to when I first realized my soul was not human would take us back thirteen years. But the relevant branch of my identity primarily started around two years ago, this time of the year. My partner Zagreus and myself had begun having a strange series of dreams, visions, and journeywork interactions with spirits. The main culprits seemed to be Dionysus, a more distant Ariadne, Hades, Persephone, and a handful of other primarily Greek deities. Once they properly got our attention and got us vaguely on board with the idea (it took a fair bit, there was a ton of “do not want” and avoidance), we started doing research. It then became this very fast paced push-pull between UPG experiences, and having those experiences verified by external sources, such as ancient texts and more contemporary writings by authors like Karl Kerenyi. It happened so quickly, with so much information, that at some point along the way I got lost in it and could no longer remember which parts came from personal experiences and encounters, and which parts came from research. I have since learned it does not particularly matter, and in fact the blurriness of it all is ultimately a positive. But the whole thing grew to be such a jumbled mess, I have not even begun to start teasing things out in a way that I can share my story on here in even a faintly cohesive fashion. That will require backtracking and wading through page upon page of notes, which I want to do, but will require time. My identity keeps on growing as I have more experiences, but it at least has slowed down enough that I am starting to feel like I can finally begin catching my breath. This entry was posted in Uncategorized and tagged 30 Days of Otherkin, Britomartis, Research, Zagreus. Bookmark the permalink.